Is it possible to truly forgive and forget the evils committed against us? This is a significant question and the focus of Miroslav Volf’s 2006 work on the ethics of memory. Much like the ethics of the Kingdom of God, the ethical implications of The End of Memory are appropriately unsettling. Volf does not write theoretically about the complications of remembering violence rightly. The Yugoslavian theologian, now teaching at Yale Divinity, was interrogated for eight years by the Communist regime for being both a Christian and a “Western sympathizer”. He writes with much reflection on his own story, using it at times as a lens to flesh out the practical implications of his ethic. He knows, in other words, the challenges of “remembering rightly,” and yet he still maintains that right remembering seeks to reconcile the offended and the offender. The grounds for such an ethic is the gospel of Jesus Christ. This is no small feat, and in part two Volf turns his attention to the method of remembering rightly. Part two explores the challenges of remembering rightly and the framework needed in order to do so. Fundamentally we must acknowledge that the act of remembering is difficult in and of itself. Our finitude, the passage of time, and our own prejudice make remembering a complicated matter and often the whole truth can elude us. But remembering is a matter of justice, Volf says. There is a moral obligation to speak the truth; Christians know this as the obligation to speak the truth in love. The application of this principle requires us to both avoid the negative, not speaking falsely, and also to enact the positive, to speak well of others. This means remembering is a “form of doing,” it is an active response. We “use our memories” and therefore Christians must evaluate carefully how they are using their memories. We need, then, to evaluate the frameworks we use to make sense of our memories. The Bible presents us with both examples and a theological grid for remembering rightly. The gospel of grace and the promises of Christ become the lens through which we remember rightly. This is a hard truth and many will find the book too difficult. After all, the very thought of doing justice to those who have violated us, wronged us, and performed injustice seems in and of itself to be wrong. Volf is not naive to these thoughts and to the emotional challenges of remembering violence. But it is the gospel that frames his ethic of remembrance, as such it is hard but right. Part three turns attention to the question of longevity. “How long should we remember” is the question that unifies the remaining four chapters. Here he orients us towards the hope of reconciliation with the wrongdoer. He urges us to see that Christian faith insists on desiring reconciliation. Yet, he also humbly acknowledges that this is an element of life that probably awaits fulfillment in the Kingdom of God. The goal is to “forget,” seeking to get to a place where the event of wrong no longer comes to mind. One can appreciate the challenge such a definition presents to reality, and yet Volf is ever optimistic that we can move towards this level of reconciliation, of true forgiving and forgetting. This is a phenomenal work. I’d not read any work on remembrance like it. 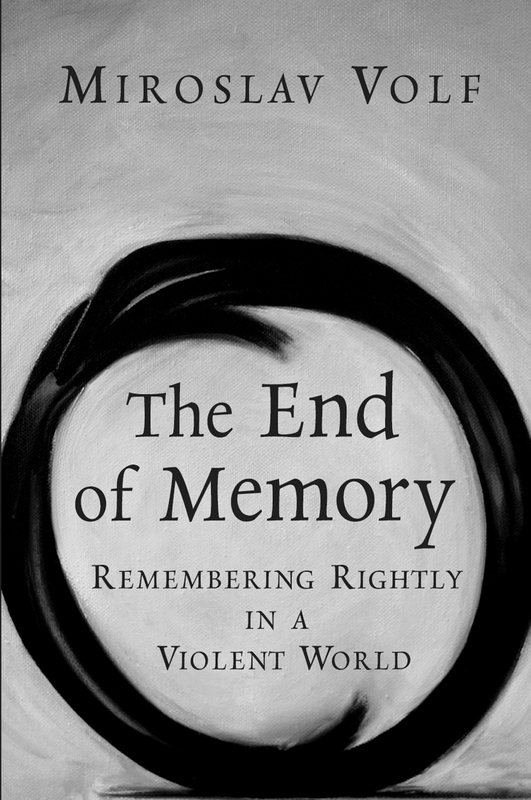 Volf draws out the ethical implications of remembering in a compelling, insightful, and deeply challenging way. He lays his own trauma on the top of it giving us a practical way to explore the idea, but he does not fixate on his woes. He has wrestled with his own memories and that affords us a chance to see the ethics of recall in action. The implications are no doubt challenging, but such is the nature of life in God’s economy. We are called to “die to self,” to “love our enemies,” to “forgive as you have been forgiven.” We are called to speak the truth “in love.” There are many passages of Scripture that can support this challenging message. If the ethical implications of remembering rightly seem hard, such is the life of a follower of Christ. Volf has some details that are important to mention in passing. While he has written a solid work here, and there is much in it to commend, the theologian has tended to hold to a more universalist atonement, and has some troubling views on the relationship between Islam and Christianity. In those regards care should be taken by the average reader. Nonetheless, I would highly commend this book to those seeking to navigate how to use their memories for good.